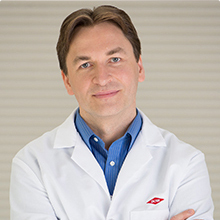 Klosin is a Research Fellow at Dow’s Core R&D facility located in Midland, Mich., where he has worked for 18 years. He focuses on the design of organometallic polyolefin catalysts. Through control of complex ligand frameworks, selection of metal centers, and co-catalyst combinations, he has enabled the successful commercialization of a number of product families. Klosin’s fundamental understanding of the influence of electronic and steric effects have allowed him to tailor the activity of catalytic metal centers to produce novel polyolefin materials. He has also been able to impart temperature stability that led to dramatic improvements in productivity and energy consumption. Klosin holds 22 U.S. patents related to his areas of research. Respected throughout the industry for his thought leadership, Klosin has authored more than 40 papers that have been published in peer-reviewed journals and presented more than 25 invited lectures. He holds a Master of Science from Adam Mickiewicz University in Poznan, Poland, and a Ph.D in organic chemistry from the University of Florida in Gainesville.